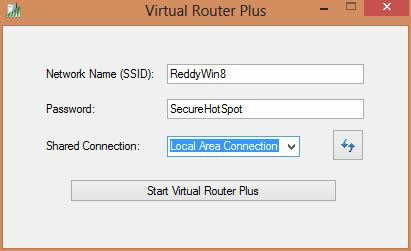 Virtual Routers will turn your internet connection to Wi-Fi hotspot, there are some free virtual router applications to do the same. They use Wireless Hosted Network Technology to turn your Windows 7 or Windows 8 machine into a Wi-Fi hotspot. Virtual Router Plus is a free applications that does exactly what it says. It works on both Windows 7 and Windows 8 Windows Server 2008 R2 and Windows Server 2012, but won’t work on earlier versions of Windows. 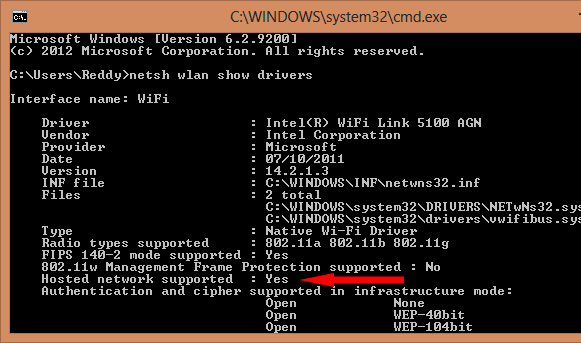 You can enable the virtual router options throug command prompt, but this application makes the process very easy. Download the application and open the file and input the details, name, password. It uses WPA2 encryption so your Wi-Fi connections is secure. The original http://virtualrouter.codeplex.com application has more features. This “plus” program is just an inferior copy with less to offer than the original, FREE, Open Source project. Thanks Chris, for the heads up.